Coachbuilt cars are, in most ways, a thing of the past. Remaining from a time before unibody vehicles, machine-stamped body panels, and mass-produced model ranges, coach building now represents the pinnacle of automobile craftsmanship, design, and creativity. Touring Superleggera is one of only a few remaining names, with its home tucked away behind brick walls in Milan, Italy. Responsible for iconic cars ranging from Aston Martin's DB4 and DB5, as well as Lamborghini's first production car, the 350GT, to BMW's 328 Touring Roadster, and more contemporarily, Alfa Romeo's Disco Volante, Touring Superleggera has quite the resume. 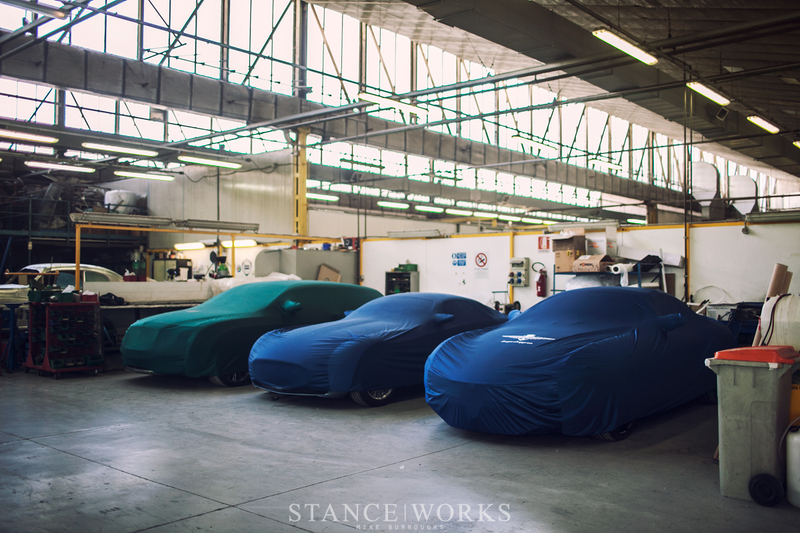 As lovers of fine, hand-built italian sports cars, we were thrilled when BMW invited us to tour the Superleggera facility prior to the unveiling of the latest Touring Superleggera creation. 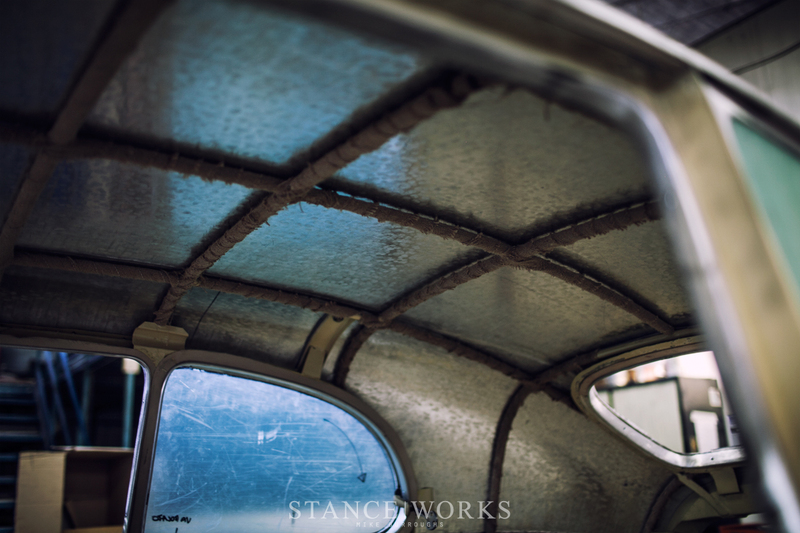 Coachbuilders and coachwork began in the days of horse-drawn carriages. 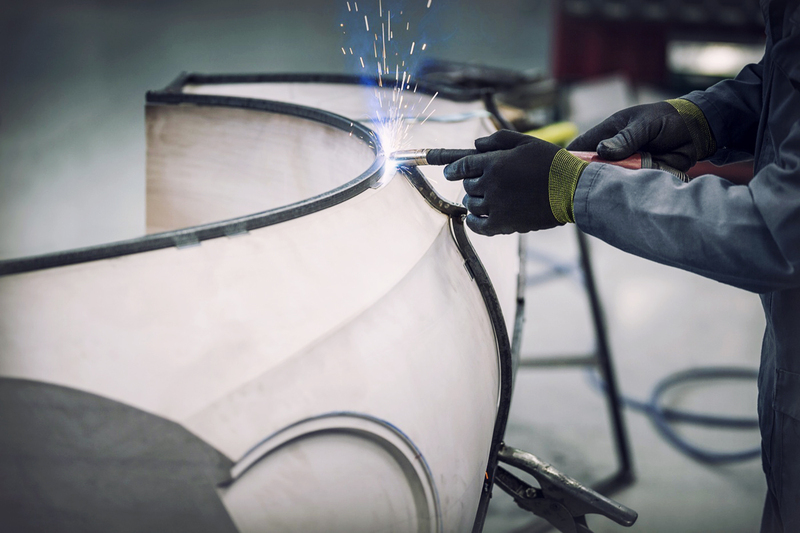 The Worshipful Company of Coachmakers and Coach Harness Makers, a British trade association, dates all the way back to 1610, and others date back even further, giving the industry some rather rich and lengthy history. 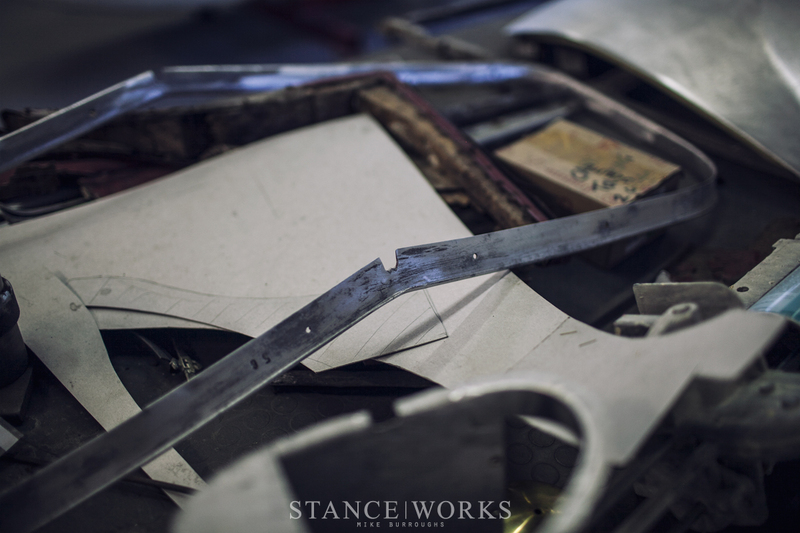 However, here at StanceWorks, cars are our forté, and the only horses we deal with are those churned out by engines, so we will fast forward through history, up to the early days of the automobile. Purchasing a car, and more commonly, luxury cars, in the late 19th and early 20th century, was most commonly a two-step process. Automobiles, at the time, were comprised of two primary components: the chassis and the coachwork. The chassis was comprised of the frame, the running gear, suspension, a complete drivetrain, wheels, tires, and controls. Conversely, the coachwork included the car's body and interior work, defining the car's aesthetic. Car buyers would often select a chassis from the likes of Cadillac, Duesenberg, and others, and would then select a coachbuilder to design a suitable body for the car. Unsurprisingly, this expensive, antiquated process is responsible for some of history's most stunning and lavish automobiles. While Henry Ford's Model T redefined the car-building process entirely, coachbuilding carried on for the upper echelon of the automotive market for decades. While coachbuilding continued in America, it "thrived" in Europe, and today, the worlds' best coachwork comes from none other than Italy. Eventually, the coachwork market moved into contract work, with coachbuilders operating as design and production houses for special cars - through the '50s and '60s, the likes of Ferrari, Lamborghini, Alfa Romeo, Maserati, Fiat, Lancia, Aston, Peugeot, and others, were all using coachbuilders, such as Touring Superleggera, Zagato, Pininfarina, and Bertone. It was a thriving market for high-end hand-crafted automobiles, and is in many ways the golden era of European sports-luxury cars, standing today as some of the most valuable cars in the world. 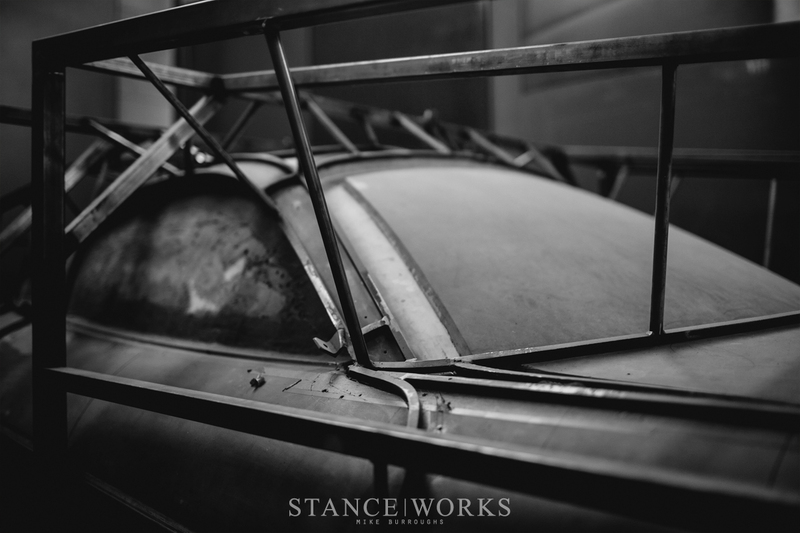 Much of what makes such coachwork so special is more just the inherent beauty - its the hand-built, hand-shaped, hand-crafted nature of the machine. Touring Superleggera's history is as rich as the others, but their name alludes to more than their competitors. 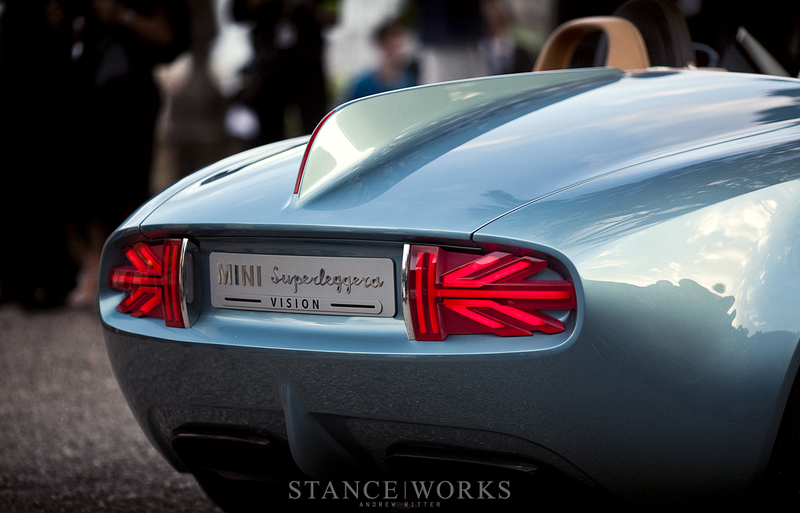 "Superleggera" is Italian for "Super Light," which names their unique construction method first patented in 1936. Built around the idea of a tubular steel skeleton wrapped in hand-shaped aluminum panels, the Superleggera construction method set Touring's cars apart from others. The system allowed for extremely lightweight cars, which is a philosophy still ingrained within the company today. On top of that, the Superleggera system allowed for flexible manufacturing techniques, which increased production. 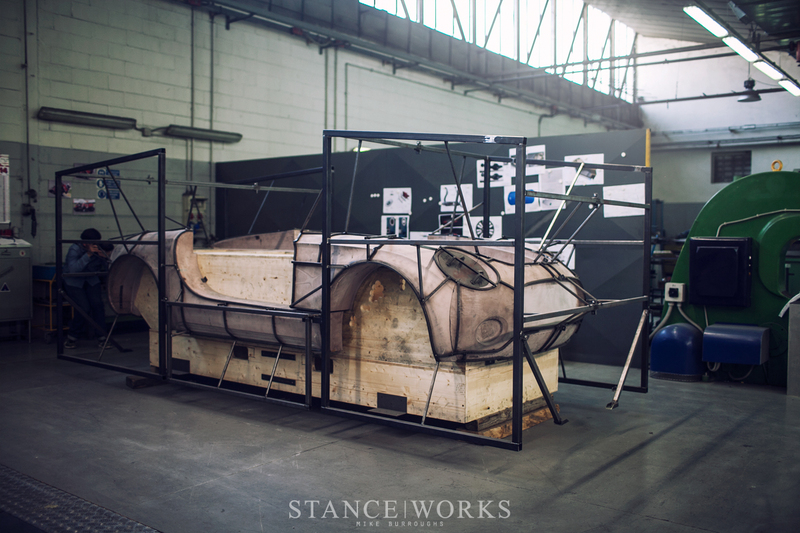 The Superleggera process is no longer used today - modern crash test standards are far too strenuous, and galvanic corrosion between steel and aluminum has left the construction method obsolete. 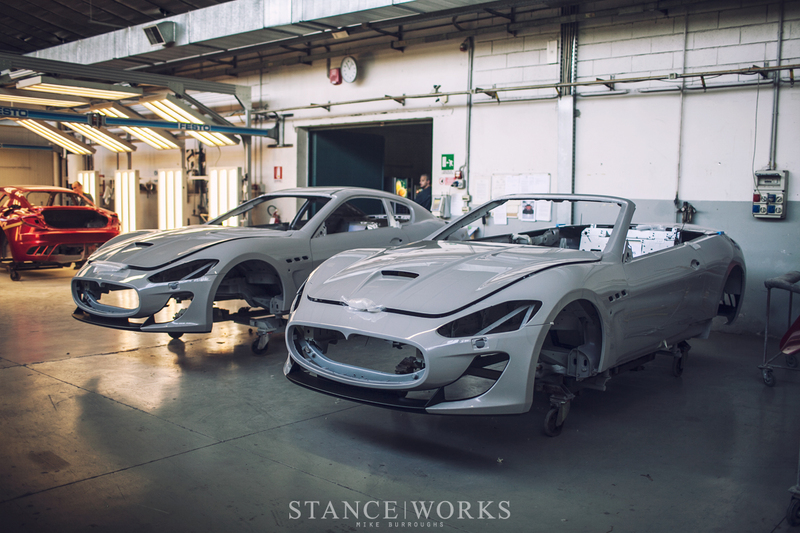 However, all of Touring Superleggera's cars are still built entirely out of hand-shaped aluminum. 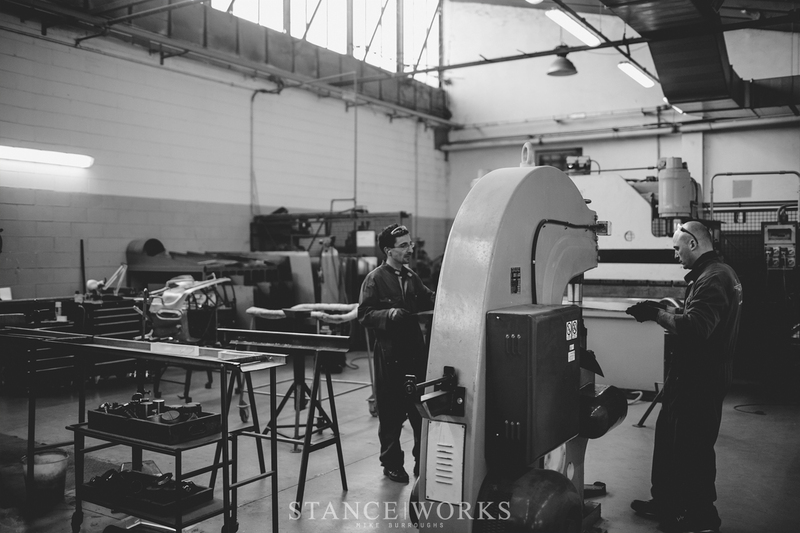 As we wandered through the Touring Superleggera facility, we saw the process, perfected decades ago, continuing today. 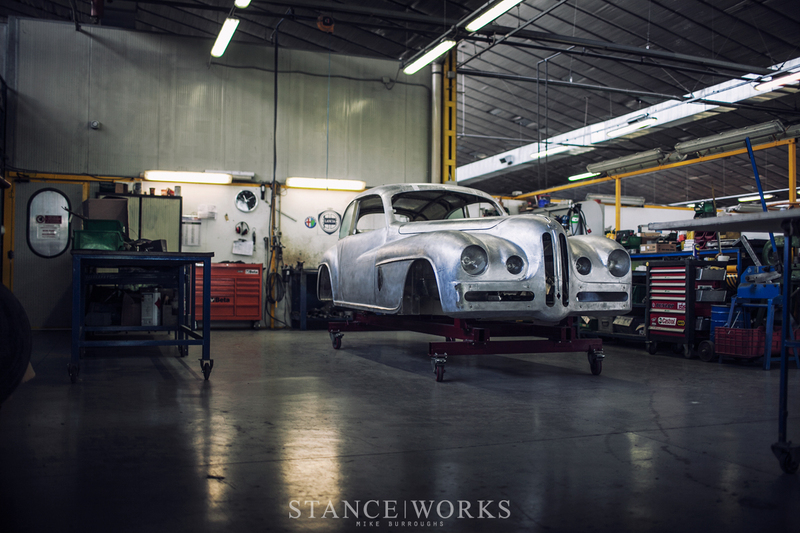 A small crew of men worked, clad in overalls, shaping the body panels of the new and classic cars that filled the shop floor. 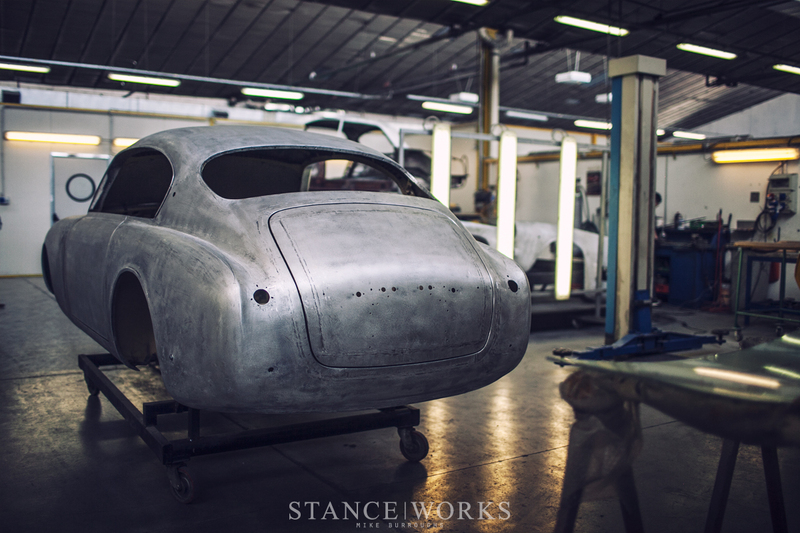 '40s And '50s complete bodies sat on chassis tables as talented craftsmen re-shaped their panels as part of an official restoration. 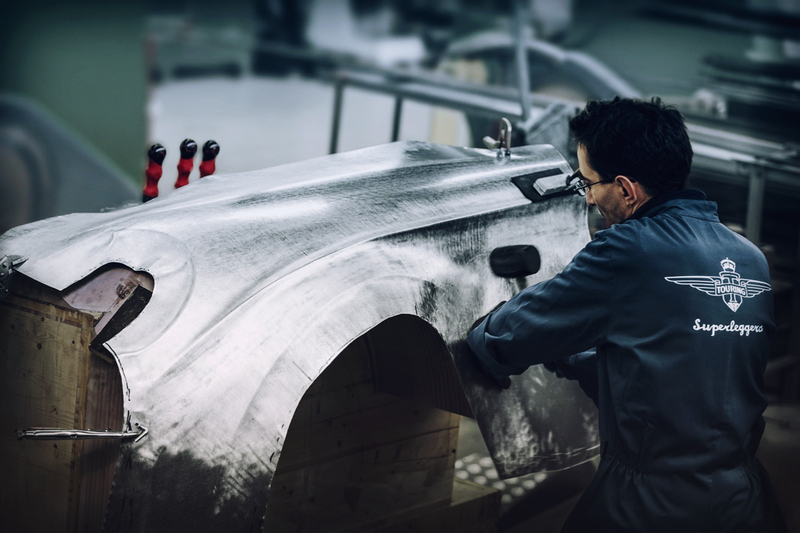 Next to them, clay models of Superleggera's latest creations stood, wrapped in rigging and scaffolding built to help shape an all aluminum skin to an in-house designed body. It was, in many ways, reminiscent of the Superleggera method that solidified Touring's place in the coachwork world. Next to Alfa Romeo's Disco Volante body template sat our first glimpse at the shop's latest workings: the Mini Superleggera Vision Concept. 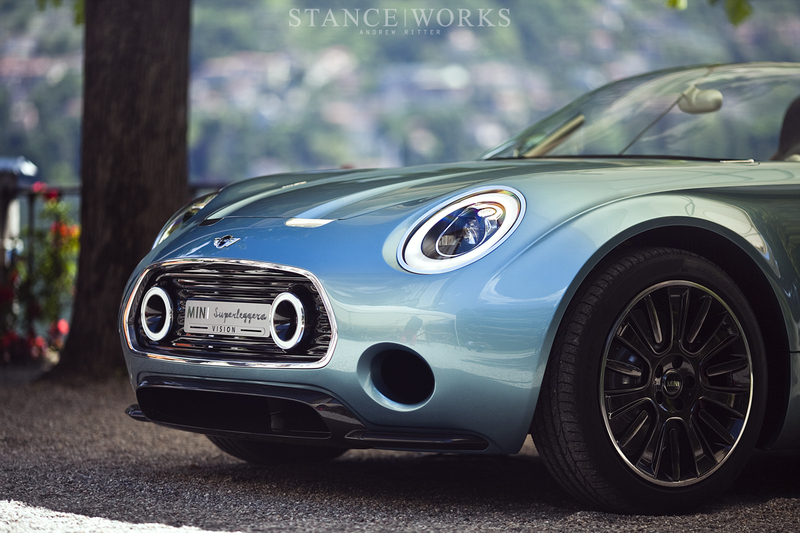 Blending classic Italian construction and aesthetics with British style and modern engineering, Mini and Touring Superleggera partnered to create a one-off hand-built concept. 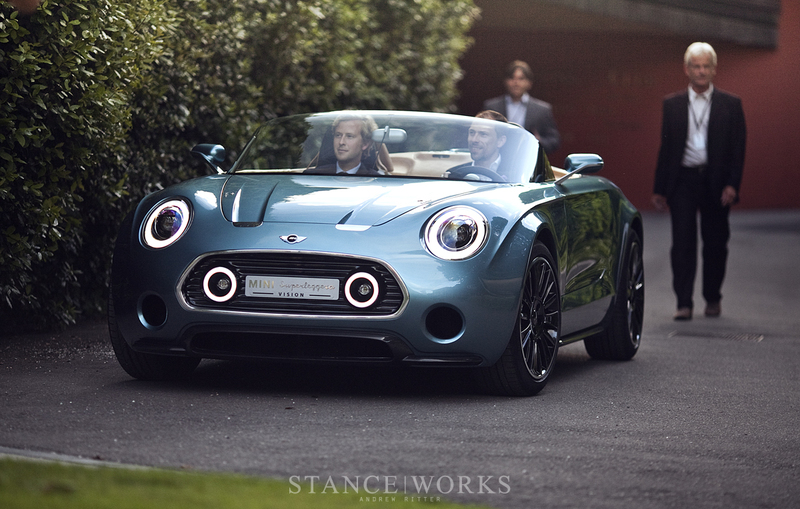 Drawing inspiration from classic British racing sports roadsters and Italian design principles, the Mini Superleggera Vision was built entirely in-house, starting with the sketches, all the way to surface engineering and structural analysis, style models and prototypes, and in the end, a turn-key vehicle. "Touring Superleggera and MINI have much in common: both companies attach great importance to their history and this is something which defines their outward appearance to this day. What is more, they both emphasise iconic design and distinctive solutions. These elements are merged in the MINI Superleggera™ Vision to create an elegant automobile which interprets a British roadster under the influence of Italian style and hand craftsmanship," said Adrian van Hooydonk, Senior Vice President BMW Group Design. Outside, the car exhibits many Mini-esque styling cues, such as the definitive headlamps, the fishmouth grille, and the Union Jack tail lamps. The deck lid's fin and round rear end exhibit classic British racing inspiration. 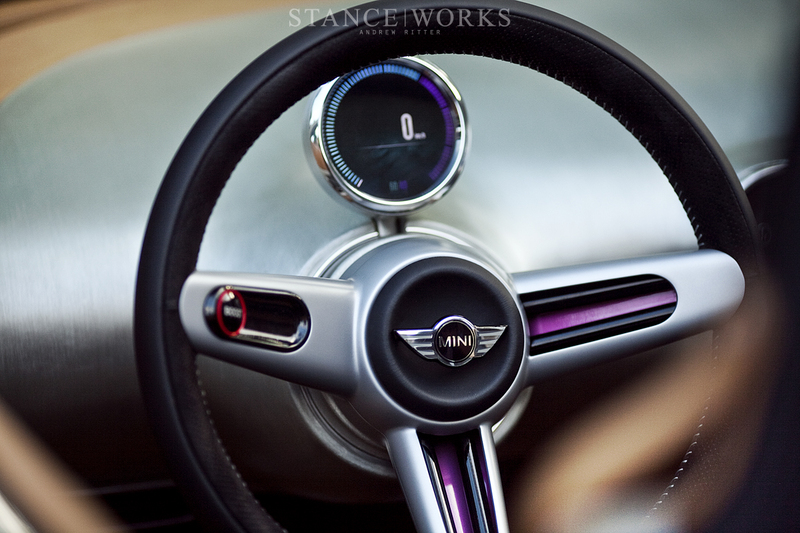 Inside is possible one of the most beautiful yet simplistic dashboards ever crafted - built out of a single piece of sheet aluminum, the hand-shaped dash wraps a futuristic digital gauge panel, which displays every bit of necessary info. 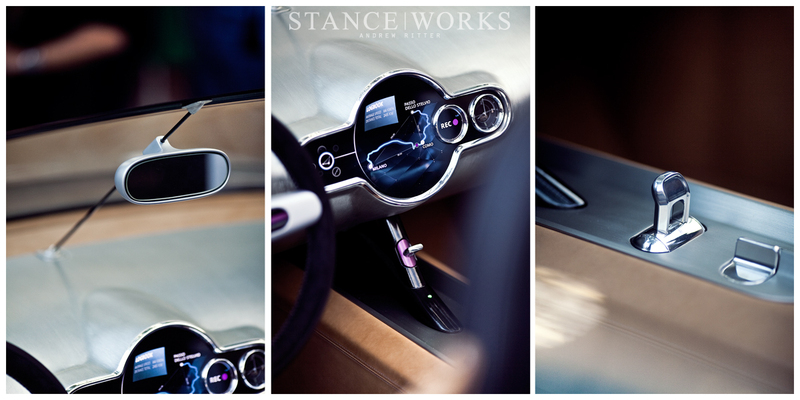 The interior is made of hand-stitched untreated leather, which plays off the raw aluminum dash for unrelenting style. As the latest creation of Touring Superleggera, it's clear that they haven't lost their touch. 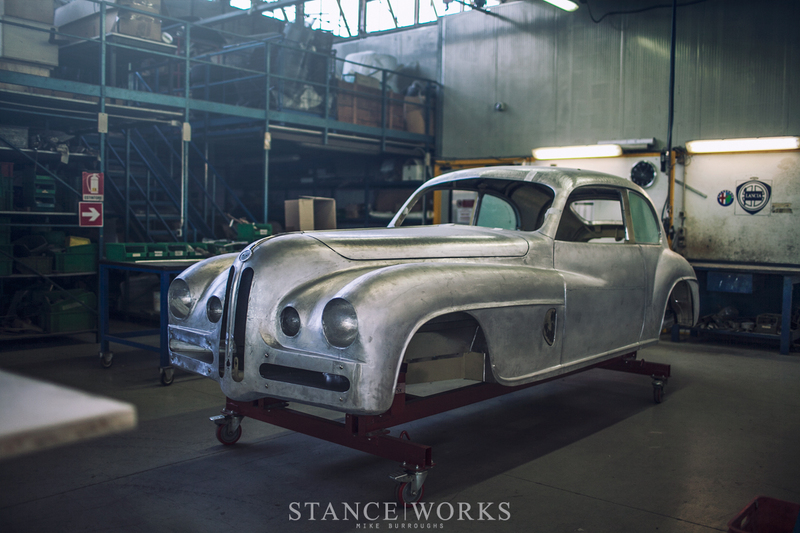 Decades - nearly a century - of skill and talent have accrued, leading to one of the indisputably finest coachbuilders left in the world. As an art form left for only the most extravagant of cars, it's unlikely any of us will experience the joys of owning a coachbuilt car, but perhaps there's something to be taken from the level of craftsmanship, purity, ingenuity, and sheer audacity that has kept Touring Superleggera at the top. 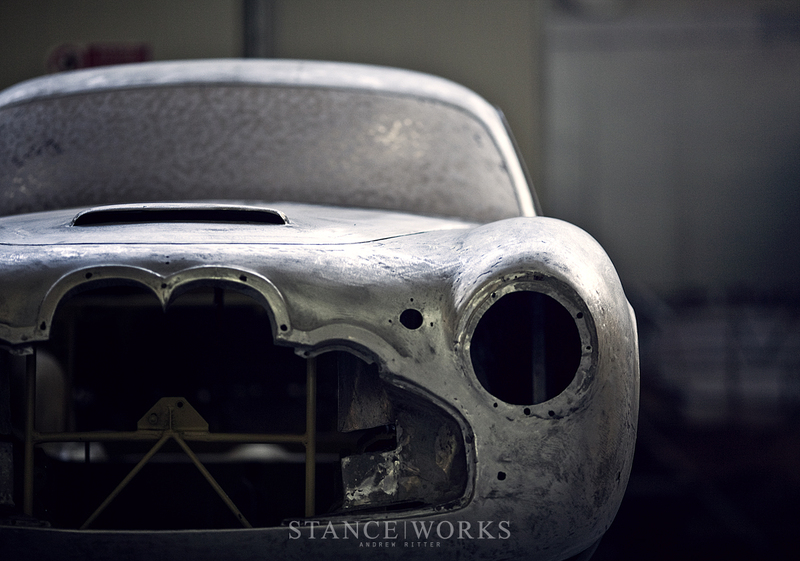 The bare metal car is a Bristol. Leave it to the Italians. That is why I bought a ’54 Lancia Aurelia B20S with modifications by Enrico Nardi.